HOLLYWOOD SPY: DEV PATEL TAKES THE LEAD IN 'THE PERSONAL HISTORY OF DAVID COPPERFIELD'! THEODOR GEISEL GETS HIS 'DR SEUSS' BIOPIC! DEV PATEL TAKES THE LEAD IN 'THE PERSONAL HISTORY OF DAVID COPPERFIELD'! 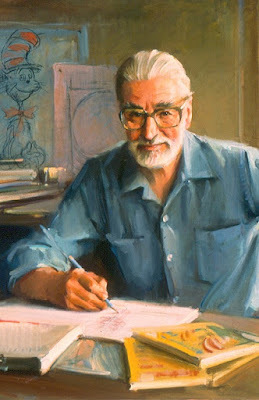 THEODOR GEISEL GETS HIS 'DR SEUSS' BIOPIC! Only a week or two ago your trusted spy informed you that Armando Iannucci will direct the big screen version of THE PERSONAL HISTORY OF DAVID COPPERFIELD based on Charles Dickens’ semi autobiographical chronicle of the life of the iconic title character, and now it has been announced by 'Variety' that Dev Patel will take the role of the titular hero. The story follows Copperfield as he navigates a chaotic world to find his elusive place within it. From his unhappy childhood to the discovery of his gift as a storyteller and writer, all the while on a journey full of life, colour and humanity. Dickens actually modelled the character after himself. The shooting should begin later this year with casting already under way! Speaking of films inspired by the lives of famous writers, beside the one in which Dan Stevens plays Dickens himself, the one about the author of Winnie the Pooh played by Ewan McGregor and the one in which Nicholas Hoult will portray Tolkien, we are now getting SEUSS, inspired by the life of Theodor Geisel. As 'Deadline' reports it will follow him in the 1920s as he struggles to find his voice as a writer before meeting his muse and future wife in Helen Palmer, who propels him into becoming Dr. Suess. Thirty years later, a sudden illness cripples Helen and Geisel’s career falters, until she ultimately inspires him to fulfil his destiny and create the iconic children’s book The Cat in the Hat. Wonder's Stephen Chbosky will direct. I know almost nothing about Dr Seuss, apart from his famous books, so this could be interesting. Also -- I love Dev Patel. 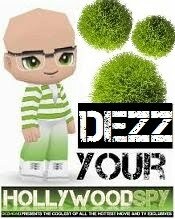 I haven't heard of him nor his books until Hollywood started adapting them. How exciting, a film about Dr. Seuss! His works have been a part of my life for as far as I can remember. I used to read his books over and over to Mariah when she was a baby. She loved them so much, I probably could still recite some of them cover to cover. That is lovely! Here in Europe Hans Christian Andersen and his fairy tales are what kids grow up to. We read Hans Christian Andersen too, but Dr Seuss was definitely more popular. We just loved his whimsical style! Great post. Please comment and follow my blog. Thanks. Seriously, I hate it when people stop by with these cheap comments not even related to your article, all in the name of self promotion. Do you really think they'll be back for a return visit? Pft!